We’ll use this lull between appearances to share a few updates along with fall styles from two of Kate’s favorite retailers. It’s that time of year, media are putting together lists; best, worst, most, least, etc., like the Bazaar UK ‘Best Dressed Britain’ list that Kate topped. (Covered in this post.) Now there is news that Bazaar UK also recognized Sarah Burton, awarding her with its Designer of the Year award. 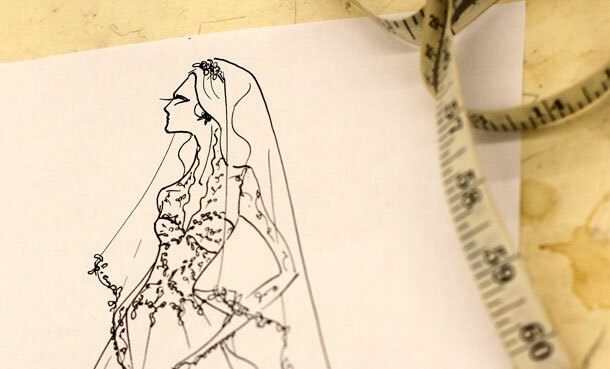 Below we see one of the designer’s sketches for Kate’s gown, via The Mirror. Almost a year to the day when their engagement was announced, William and Kate were chosen as the most influential royals in the fifth annual edition of the Evening Standard’s The 1000 list. The panel of judges said the influence of the Duke and Duchess, both 29, had grown hugely since their April wedding. To see that entire story click here. Also new today, Hollywood Life reports that designer Tory Burch thinks very highly of the Duchess. While not ground-breaking, essentially adding Ms. Burch to the growing list of designers who would love to create for Kate, the story is fun. There’s no denying the fact that Kate has a fabulous figure, but what would you have her wear if you had the chance to dress the Duchess? 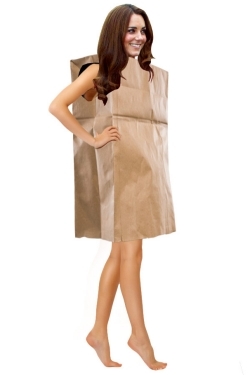 “She would look good in anything, even a paper bag,” Tory joked when we asked what she would craft for Kate! The fun folks at The Cut have even gone so far as to offer their illustrated version of the Hollywood Life story. 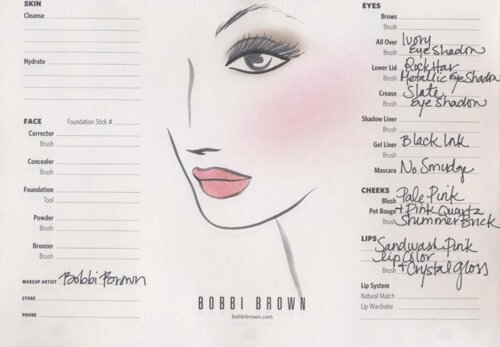 Back in May we posted about the makeup on our sister site, sharing the tutorial below that was posted on the Bobbi Brown Facebook wall shortly after The Wedding. We are proud to confirm that Bobbi Brown Cosmetics makeup artist Hannah Martin provided makeup artistry assistance to members of the bridal party for the Royal Wedding. We wish to respect the privacy of all those involved, and therefore will not be releasing further details. Click here to see a People magazine story with the ‘how to’ diagrams for both Kate and Pippa’s looks. 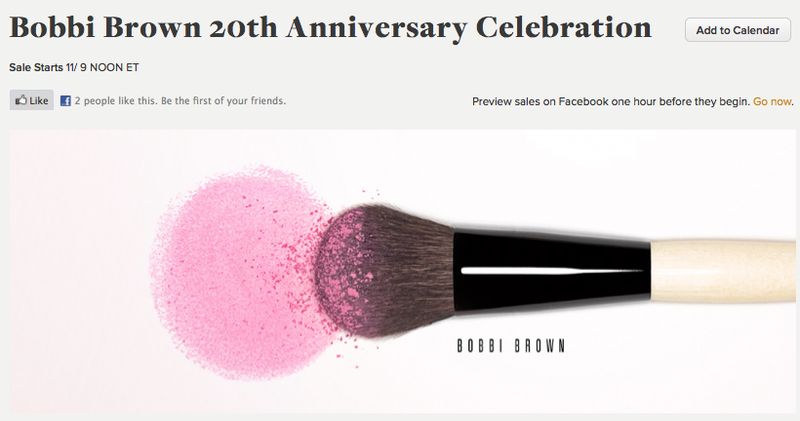 As an FYI, Bobbi Brown products are being featured on flash sale site Gilt.com starting at noon ET tomorrow (Wednesday). Finally, a quick look at fall fashions, we have pulled several looks from stores Kate favors, items we think speak to her aesthetic. The first such piece is the Davina dress from LK Bennett. The side gathers running from the bustline to high hip and detailed neckline look ‘very Kate’. Next, the Jude jacket, also by LK Bennett. The gathered waist and kick pleat on the back of the jacket seemed to shriek ‘Kate,’ the neck detailing and self-covered belt only added to that perception. The jacket is wool, it runs £295 ($475), there is a matching skirt. Below, a dress we thought might work if under a coat or jacket, that was before I saw the length. Ummmm….no. 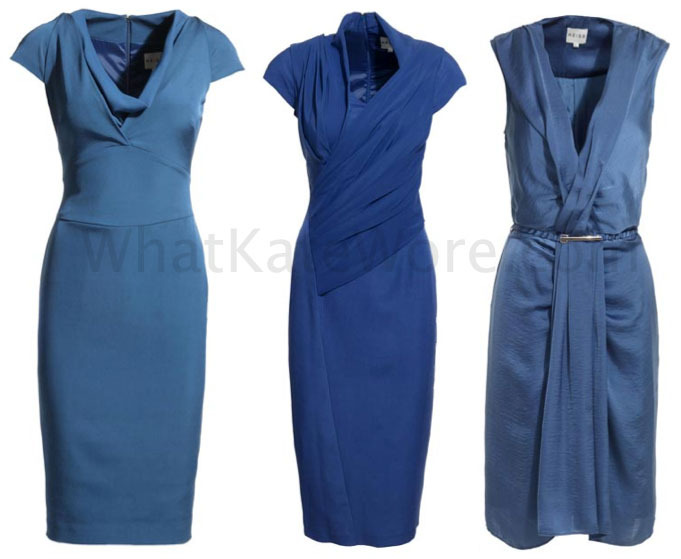 Below are three dresses we thought could work on the Duchess, all three are from Reiss. From left to right we show the Carlie dress in oil blue (£175/$280), the Livia in night sky (also £175, or $280), and the Julie in steel blue (£159/$255). The first two are very appealing, I vacillated about including the Julie, it just doesn’t look terribly attractive. I ended up keeping it in the mix based on the premise it might be one of those frocks that is vastly improved once it comes off the hanger and is actually tried on. Three coats we also discovered while grazing researching things at Reiss. From left to right we show the Honor in sapphire, the Cherie Coat in kingfisher, and the Gabriella in midnight, the Gabriella is my favorite for Kate. I struggle seeing her either of the other two, but wouldn’t be stunned to see her carry her love of blue tones to a coat or jacket. 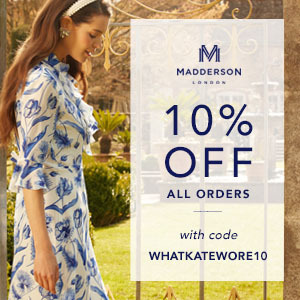 We thought this Maddox dress (how appropriate, considering the popularity of LK Bennett’s Maddox shoe) at Reiss looked like something Kate would sport. The Maddox retails at £175, or $280 at today’s exchange rates. 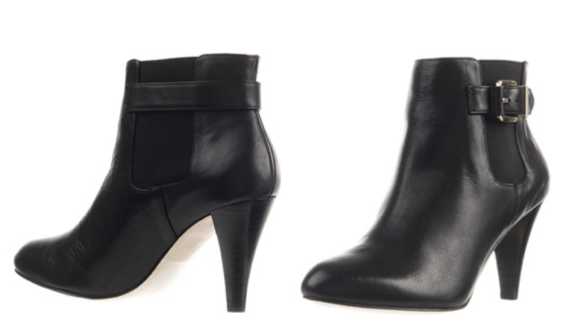 We also found footwear at Reiss that seemed to have a Kate look, the Hemmingway Chelsea booties. These have elastic on the sides and a 3″ heel, they are £179, about $290. Bought the Davina dress in fuschia! It’s an amazingly flattering cut! I have bought the Davina dress in navy blue! Can you validate the info? I was wondering if you think that Kate and William will make an apperance for Armstice day? I think a saw a new picture of Kate in a dove grey evening gown, but it was only a “thumbnail” picture for an article at the Telegraph. She and William were wearing poppies but I can’t tell if the picture is new. I am so sad that I went to the gilt site only to find out that there really is no sale! They are just marketing Bobbi Brown products, but with no discount! You can get most of these same gift sets at a department store or online. The Jude jacket is so cute. I know they’re not really appropriate for big events which may be why we haven’t seen them yet, but I want to see Kate in those pieces she bought from Top Shop! I was thinking of getting the Katie dress in red for the longest time, but haven’t yet managed to go for it yet. Do you think the blue or the red is more Kate? 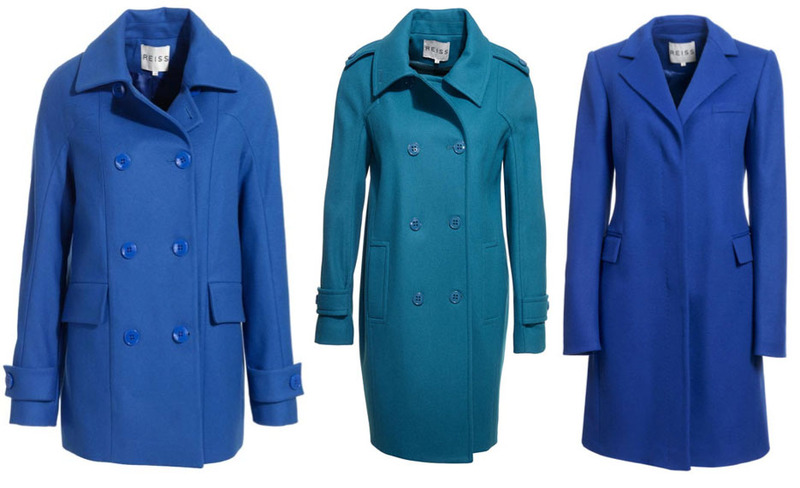 Also, for the Maddox, which color would Kate go for more? I’m thinking Mink, but the black looks lovely, too. Unless they’ve changed the protocol rules, the royals aren’t supposed to wear all black dresses or suits (and probably coats) except to funerals or on Remembrance Day. I’ve always thought that was rather a silly rule given how fashionable and versatile black is, but it’s been an issue in the past. So, the Duchess would probably not buy the dress in black, unless she wanted to keep a black dress in reserve for a funeral. The royals do keep mourning in reserve and travel with black outfits, just in case. Also, the length on the Katie dress isn’t so bad … the Nanette was rather short, too. HOWEVER, I am really tired of all these designers (high-end and affordable alike) coming out with super-short dresses. It’s becoming harder and harder to shop. I am not self-conscious about it, but I don’t think it’s very classy to wear dresses any shorter than the Katie. Yet we DO, because what else is there? The options are becoming more and more slim. I hate it how designers are shrinking hems! Dresses nowadays look like long T-shirts made of expensive fabric. I’m so happy that Kate is trying to bring back the “class factor” that has been absent for so long. I think that’s all they are: long shirts! Maybe to save on fabric costs and rip us off! Kate is doing her thing like a real lady. Love this site and the Facebook site! However, in the sentence below, shouldn’t it be dress the “duchess” “Kate” or “Catherine”, not the word “designer”? Hi Barbara, and thank you for your kind words! You are absolutely right about the wording, I am presuming they made the error in transcribing & have been reluctant to change it, but might just do that. The telegraph has the first photo of today’s gown. She recently bought a jacket at Top Shop in a shade of blue very close to that of the jackets. and I’d say that blue and white brocade-effect coat that she’s worn twice employs a similar shade of blue. I’ve also seen her in pink more than once. She wore a pink fitted jacket to two weddings, a pink sweater with a flowered dress, and a pink (probably Issa) evening dress to the Boxing Ball one year. I’ve seen all those Reiss dresses since I am a Reiss customer myself. One problem with Reiss is that many of the dresses really are short. They don’t offer enough knee-length (or just immediately above the knee) items in my opinion. The hem-length issue has prevented me from buying several dresses I otherwise liked very much. After all, you can always hem a dress; you can’t make it longer. You can never be sure of what you read in the press when it comes to celebrities, but I do believe I’ve read twice that the Duchess prefers Lancome cosmetics. I myself jump from brand to brand as far as cosmetics go, so I can only assume it might be normal to favor multiple lines for some people. 🙂 However, I also have friends who only use one brand. Bobbi Browns sounds a reasonable choice for her from all the pictures I have seen of her. Great post! Re Kate using Bobbi Brown make-up, the December issue of UK Elle profiles Bobbi Brown and notes that in her offices there is a letter on display from Kate.